A week, as one former Labour Prime Minister once mused, is a long time in politics. After the General Election, I looked at the potential field for the Labour leadership and concluded that the front runners were likely to be Chuka Umunna and Liz Kendall; a week later, Chuka had left the stage and Ms Kendall’s campaign was already being elbowed out by Andy Burnham and Yvette Cooper. Indeed, more recently the Kendall bandwagon has, according to some polls, become less popular than that of veteran left-winger Jeremy Corbyn. Perhaps this is behind her decision to give an interview to the Sun’s non-bullying political editor Tom Newton Dunn, which has, in the retelling, generated the headline “‘I’M THE ONLY ONE WHO ISN’T CONTINUITY MILIBAND’ SAYS KENDALL AS SHE LAYS INTO LABOUR RIVALS”. And, as the man said, there’s more: “Blairite rising star has spiced up the race to replace Ed with scathing broadside … Labour leadership hopeful Liz Kendall has torn into rivals Yvette Cooper and Andy Burnham for offering nothing different from Ed Miliband … The Blairite rising star has spiced up the race to replace her disastrous former boss with the scathing broadside”. As Sir Sean nearly said, I think we got the point. The problem the Kendall campaign has here is that any form of agreement with the Sun is the most basically Faustian of bargains. She is already allowing phrases coined by right-wing journalists - “Continuity Miliband” and “Blairite star” - to define her, rather than defining herself. Those who work in support of her leadership bid, like former Labour List man Mark Ferguson, are not stupid. They know this. Yet Ms Kendall is allowed to walk on into the Murdoch trap: we are told “she can win back millions of lost Sun readers’ votes”, and that she asserts “I am determined to change the party so Sun readers look at us again and believe we're on their side”, while knowing that it is only one Sun reader’s opinion that matters, and that reader is Creepy Uncle Rupe. The idea that Newton Dunn is doing it for the majority of readers is absurd. Did he, or any of his colleagues, commission a poll of Sun readers to ascertain what they want? Was a reputable polling organisation involved? What was the sample size? But enough: you get the idea. It’s never a case of getting Sun readers on side, but having the attack dogs at least lay off for a while. And that means adopting the kind of policies that Murdoch finds agreeable. For many Labour supporters, that may be problematic. Rupe wants his troops to be left alone to behave as they wish. That includes backing him if he gets grouchy with media regulators. It also includes abandoning any commitment to listening to the victims of press misbehaviour. It also includes going after the less well-off, the disabled, and any other group that Murdoch deems beyond his particular pale. All with the sure and certain knowledge that it can only end in tears. 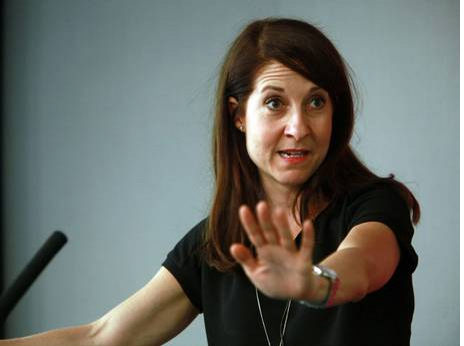 Is Liz Kendall desperate enough to become “Continuity Murdoch”? Not a good idea. I can't help thinking of Yes, Minister and the preferences of Sun readers as to who runs the country. It doesn't matter which of them gets to be "leader" (read: main puppet of bankers). Which means cowards, liars and political traitors. All of them sold out years ago. Right OK. I'm sure Jeremy Corbyn would be really bemused at being called New Labour. As am I, but as you were. Unless they can find someone who will nail the nasties across the floor of the commons, in the way Kinnock would have done, we might as well all sign out. 2020 isn't looking good. Osborne in number 10, Trump in the White House, UK out of Europe and Canary Wharf empty. Oh dear. There was actually not much wrong with Miliband's policies - he was actually onto a good idea which was essentially regulate the market to make things fairer for small businesses and control predator capitalism. Where he fell down was his presentation, which came across as inauthentic and not human. Kendall has ditched Miliband's ideas and yet, from the hustings, has maintained his flawed presentation. Worst of both worlds.